Home / Black-Panther / Black-Panther-Movie / Chadwick-Boseman / Movies / Movies-in-theaters / News / Sterling-K-Brown / Black Panther: Sterling K. Brown Says "Black Panther" Looks "Like My Son"
Black Panther: Sterling K. Brown Says "Black Panther" Looks "Like My Son"
People Magazine has an interview with Sterling K. Brown who talks about the power representation in Black Panther and why it's "historic". What's great about the cast and crew of Marvel's upcoming Black Panther (2018) movie is they recognize the importance of the film. Not only is it Marvel's first superhero movie based on an African-American main character. It's the first Marvel movie centered around any minority character. It's the first African superhero. It has an African-American director in Ryan Coogler. Set in the fictional African city of Wakanda it has a primarily Black cast. All of this is amazing to those of us who have longed to see more representation in the films. 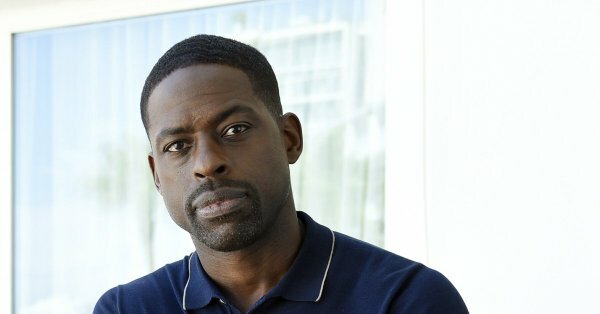 Sterling K. Brown from the popular series This is Us has a role in the upcoming Black Panther film. He talked with People Magazine's Editor-in-Chief Jess Cagle in the latest episode of The Jess Cagle Interview about it. He starts off by saying "it's a dream" and explains how when he was a kid he loved the Reggie Hudlin Black Panther comics. He went to Nate Moore saying he's been practicing his Wakandan asking for a role. While he's a fan of many superheroes like Christopher Reeve as Superman and Michael Keaton as Batman, he didn’t grow up with a superhero who looked like him. "I get to take my kid to go see a black superhero movie and he gets to see an image of himself as the man," Brown, 41, says. "Chadwick Boseman looks like me. He looks like my son." He doesn't say much about his role as the mysterious N'Jobu, but ends the interview talking about how the cast has to return the sides (the daily scripts) at the end of the day. If they forget the sides in the hotel someone follows them back to the hotel to get them. The best part is when he says, "I can’t wait to see little white kids dressing up as Black Panther!" What do you think of the interview? Are you looking forward to Black Panther? I hope like Wonder Woman it shatters the antiquated idea that minority heroes can't sell tickets.